When I find a new product that helps me to become a better hunter, I immediately want to share it with my buddies. In this case, my friend David introduced me to an item that his buddy had recently showed him. 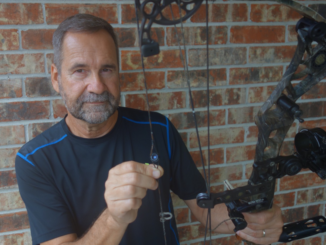 So now it’s time to pay it forward and tell you guys about the Specialty Archery Peep System. 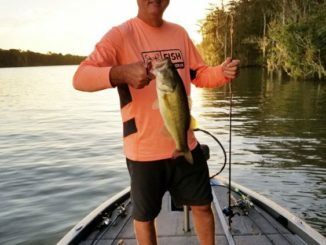 It’s easy to find the prime fishing spot to catch bass and sac-a-lait in October at Henderson Lake. 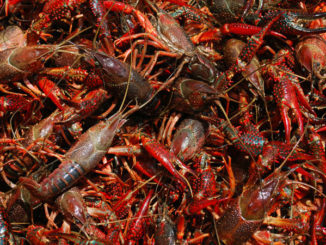 Just head for the canal paralleling Interstate 10 that intersects the middle of the lake east to west in St. Martin Parish. 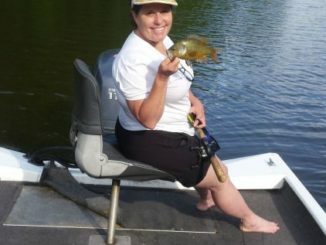 Really, after a drawdown lowered the lake level starting in August, there is far less room to roam with adequate water depth favorable for gamefish. When Clint Cryar and Colby Fruge headed out for a fishing trip Sunday afternoon, dodging the rain and catching a few catfish were all they really had in mind. 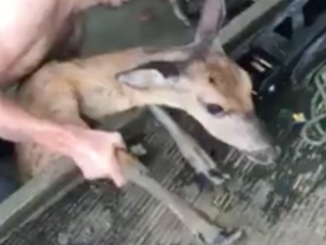 The fishing part of the day turned out to be pretty forgettable in rainy, nasty weather, but what happened on their way in has made the 21-year-old friends from Clinton Facebook famous — with videos of their adventure garnering more than 250,000 views in less than 24 hours, along with 2,600-plus shares and more than 800 comments as of Monday afternoon. 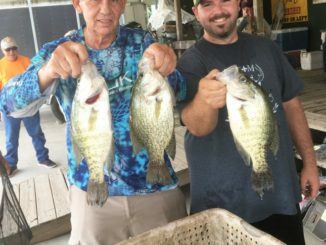 Unless the lower Spillway turned on in late July, at least one Morgan City bass angler will be fishing on the other side of the East Atchafalaya Basin Protection Levee in August. 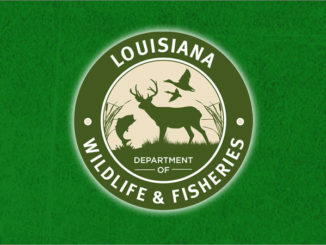 In conjunction with St. Martin Parish Government, the town of Henderson and the U.S. Army Corps of Engineers, the Louisiana Department of Wildlife and Fisheries will be conducting a drawdown on Henderson Lake beginning in August. Darren Cooper and I sat in Doiron’s Store at 6:30 a.m., waiting for an early morning thunderstorm to pass over the lower Atchafalaya Basin. 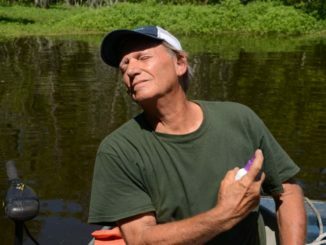 It had been several years since we had gotten together to catch bream in the huge swamp — and a slowly falling Atchafalaya River gave great promise to our day. We weren’t disappointed — we returned to the landing six hours later with 60 bream cooling in the ice chest. And most of those were huge goggle-eye. 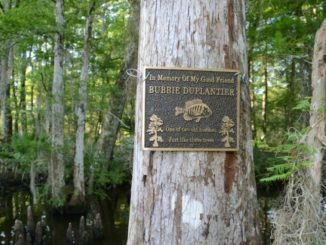 Bass, crappie and bream fishermen who frequent the canals of Crackerhead can’t help but to have seen a solid brass plaque mounted on one of a pair of modest-sized cypress trees standing in the water off a canal bank. He smelled so good I wanted to lick him. 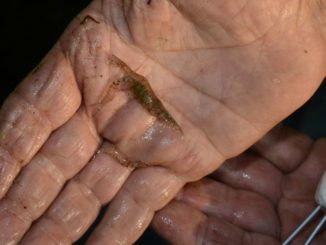 Leonard Kleinpeter stresses that a proper dip net is needed to effectively catch grass shrimp from their preferred habitat, dense beds of coontail and other aquatic plants. 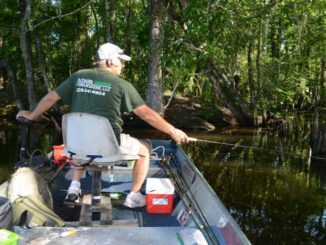 In spite of having lived a high-powered life, Leonard Kleinpeter is living proof that effective fishing doesn’t demand investment in an expensive fiberglass bass boat. 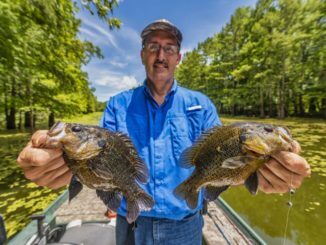 Bill McCarty cleans a lot of panfish for frying this time every year as he taps the bream, chinquapin and sac-a-lait population in the lower Spillway, better known as the Atchafalaya Basin.